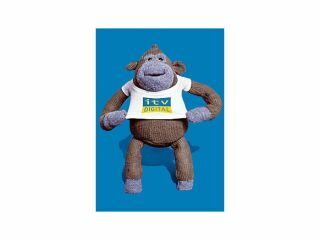 ITV is trialling a number of new ways to make advertising work for the company. With the advent of PVRs, ITV found that less and less people are actually watching adverts before shows, so now it wants to insert adverts literally into the shows. The idea is that logos and the like can be inserted into 'white space' on video footage. The technology is being trialled online at the moment, where animated logos pop up in a video, say on a wall or the sky. A viewer can then use their mouse to click on the logo, where an advert will start and the video will pause. Once the advert is finished, the video will continue. The technology used has been made by Californian firm Keystream and utilises algorithms to find the right place to put the advert. ITV has branded the concept "automatically placed overlay advertising". Speaking about the tech, ITV's director of Technology, Simon Fell, told the Times: "It looks at moments in the video where it finds segments that are big enough to get a non-moving logo in. "Rather than an editor sitting through it and finding space, and all the effort that takes, this does it all automatically. "We're trialling it online, where it's a manageable area and allows us to get feedback from both advertisers and viewers. It gives us another tool in the arsenal, and it's subtle." So far, companies that have signed up to get their logo projected on to web video include Freesat and Uswitch.com. If successful, the technology could be embedded into TV programming.